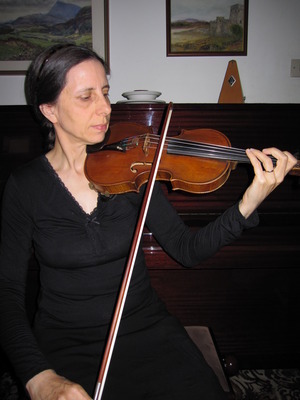 Astrid studied the violin and viola with Professor Ramy Shevelov in Hannover and with Professor Yfrah Neaman in London, where she received a silver medal for her LGSM Performer’s Diploma. She also attained a Teacher’s Diploma on the viola. She has been a member of the Sadler’s Wells Royal Ballet Orchestra and later the Ulster Orchestra, where she still plays as deputy/extra. She has been performing chamber music as well as concertos, including a Mozart Concerto with the Hamburg Symphony Orchestra. For the last twenty years she has taught pupils at the Ulster College of Music from beginner to diploma standard.